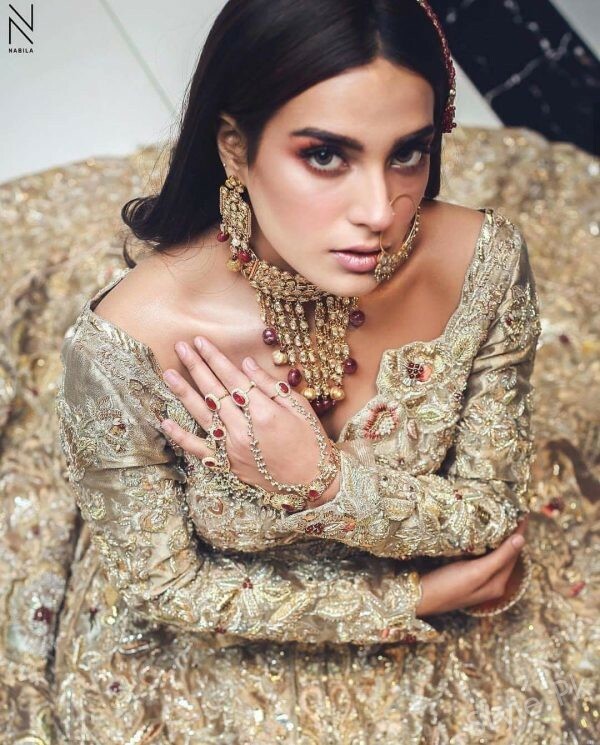 Iqra Aziz is the leading and emerging Pakistani model, actress and host. 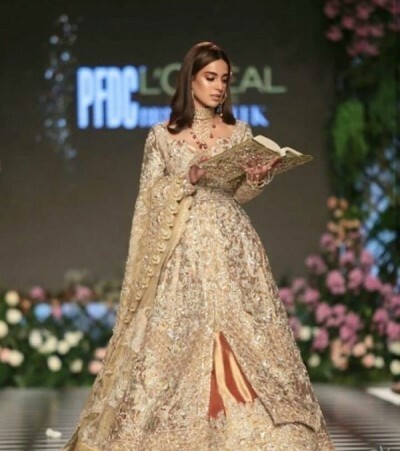 She has started her career in showbiz industry in 2014 and she performed in the hit drama, Muqaddas on Hum TV and she has played the leading role in this drama serial. She also performed in various other drama serials including Khamoshi, Deewana, Natak, Ghairat, Laaj, Suno Chanda, Tabeer, Qurban, Choti Si Zindagi etc. She is very beautiful and her look is attractive and stunning. She has the breathtaking appearance and she has stunning personality and she has marked her place in the industry. She has proved her place in the industry and has the faultless acting skills and talent. 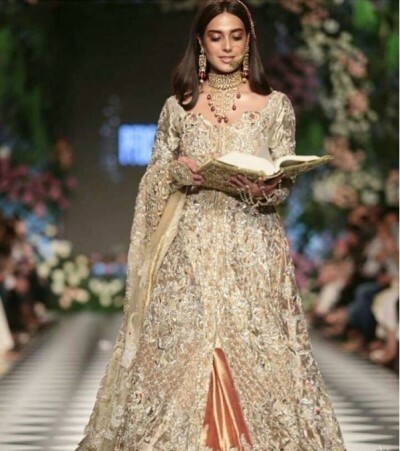 Iqra Aziz walked on the ramp for the top fashion shows. 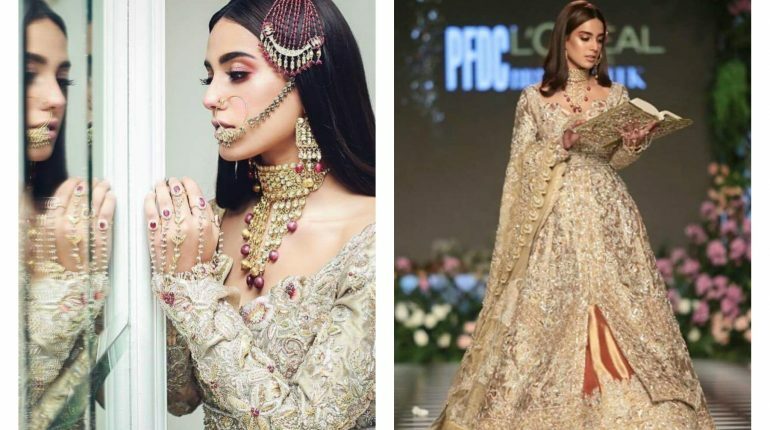 You can watch the pictures of Iqra Aziz, who walked on the ramp during the bridal week 2018. She has stunning and amazing looks in her recent pictures dressed in fully worked bridal dress in gold. You can watch the pictures of Iqra Aziz walked down the ramp for Zainab Salman.